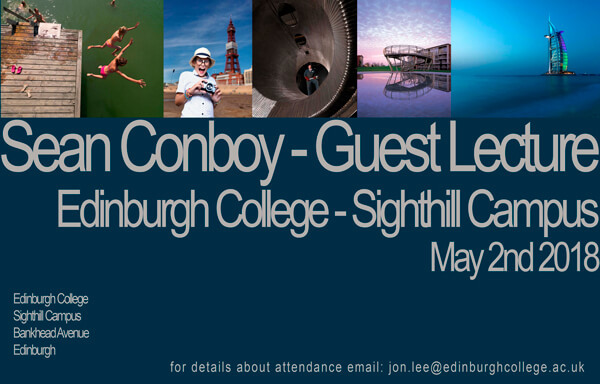 The next guest speaker to visit Edinburgh is Sean Conboy which will be hosted at Edinburgh College on May 2nd. This will be a free event welcoming all BIPP members and students. Sean is an internationally renowned photographer, specialising in architectural, corporate and advertising photography. He is also a proud ambassador for Hasselblad. His work takes him all over the world from photographing giant multiplex cinemas to multi-story structures in the UK, Kuala Lumpur, Tokyo and Dubai, to name just a few. Come along and hear Sean talk about the challenges of working on location with mixed lighting using a range of professional equipment.